In the case of Mama Cried, I was not so much bothered by the presence of the ghosts of dead children, as they are used in a non-morbid way that is relevant to the plot. What disappointed me a little was the feeling that the author was exploiting the family dynamics connected to the death of a child, and this emphasis on the topic, in such a short story, sounded like an escamotage to channel all the sympathy of the reader towards one character. Who, by the way, as the grieving mother of a dead little girl, had all the possible sympathy already. So, a lot of the details of the mother’s sorrow felt a bit like overkill to me. The other thing I was slightly bothered by is the heavy-handed characterisation of the villain. As the story spins around the concept of moral judgement, punishment and forgiveness, I thought that the author wanted to be really really sure that all the readers could only agree with the final decision of the protagonist. But moral judgement ceases to be very interesting when the fault is so enormous, there are no mitigating circumstances whatsoever, there is no repentance and the character uses his last moments to commit a gratuitous last mean deed. Perhaps a short story is not the right place to handle complex moral issues, but I would have appreciated a less obvious so-bad-he’s-practically-evil culprit. Apart from these two objections, that might well be considered just my personal preferences as a reader, the story really works. The writing is captivating, the events are very well distributed along the narrative line, and achieve a very good balance between keeping a slightly mysterious atmosphere and giving the reader all the information they need to understand the characters’ actions and motivations. The situations and scenarios described have a visual strength that make them stick in the reader’s imagination. Also, I was very pleased that the mystical and powerful guide that accompanies the main character in the transition was a woman, for a change. I don’t know why Haven decided to publish the story on its own and sell it as a very short ebook, maybe it is a choice that is more popular than I thought. But, besides publishing and marketing matters, I can definitely recommend Mama Cried for the quality of the writing, the good rhythm of the narration, and the very convincing main idea. 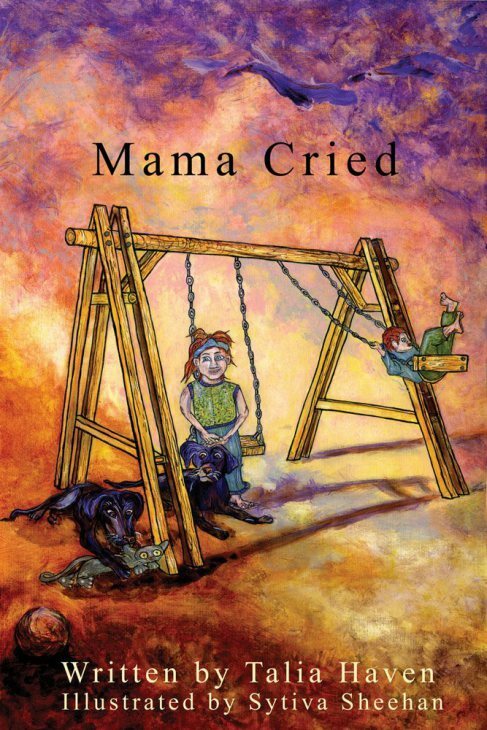 Although I wasn’t particularly enthusiastic about a couple of the choices the author made, I see Mama Cried as a very good and original feature in an anthology of ghost stories or a themed literary magazine, and, in general, I’m definitely curious to read more by this author.